Some time back, we did an article on six underrated watch models from renowned watch brands. It was quite well-received, and certainly an eye-opening piece from some newer collectors who are not well exposed to the different offerings from the different brands. The inspiration of re-looking into a similar topic (albeit for a different reason this time) is simple. Over the last few years, and more prevalent in the past few months, we have seen the exponential increase in interest for certain watches. Needless to say, they are the sports series from Rolex, specific Speedmasters from Omega, as well as the luxury sports watches from Audemars Piguet and Patek Philippe. The demand for such watches have increased tremendously during this period. What had transpired from this is the effect of mismatched demand and supply. The results are obvious: Prices have gone up in the grey market, and the time on the waiting list had just increased. These pieces are simply “unattainable” for most of us. But that is how economics work – and unless the brands are willing to increase the supply (which they are sometimes unable to do so, due to production constrains and/or strategic commercial reasons), the problem will continue to persist. For watch collectors, it is certainly difficult times for us. We either have to wait patiently, or we have to pay the premium in the secondary markets to “jump the queue”. However, we have an alternative – and that is to look at alternatives from renowned brands. Hence, for this week’s article, we will be suggesting six similarly desirable pieces from big brands, and hopefully, these equally amazing watches will be able to act as a solution – either temporary (while waiting patiently on the waiting list), or permanently. The 2016 edition of the Rolex Explorer features some upgrades, such as the inclusion of lume for the numerals on the dial. We begin the article with Rolex. Rolex, as we all know, is a highly desirable watch brand. The brand is synonymous with success and wealth, and it is assumed that everyone that owns a Rolex embodies these characteristics (which are pretty much a stereotype). But besides that, Rolex are known to make solid and robust watches that can last a lifetime. It is no wonder that the Geneva-based watch manufacturer is so popular with many. However, not all Rolex watches are “equal”. The sports models – including the Cosmograph Daytona, GMT-Master II (“Batman” and “Pepsi”), and Submariner (“Hulk”) – are much more sought-after as compared to the rest of the collections. In our opinion, if one is looking to buy a Rolex because he or she wants a well-made timepiece, there are certainly many alternatives to choose from. 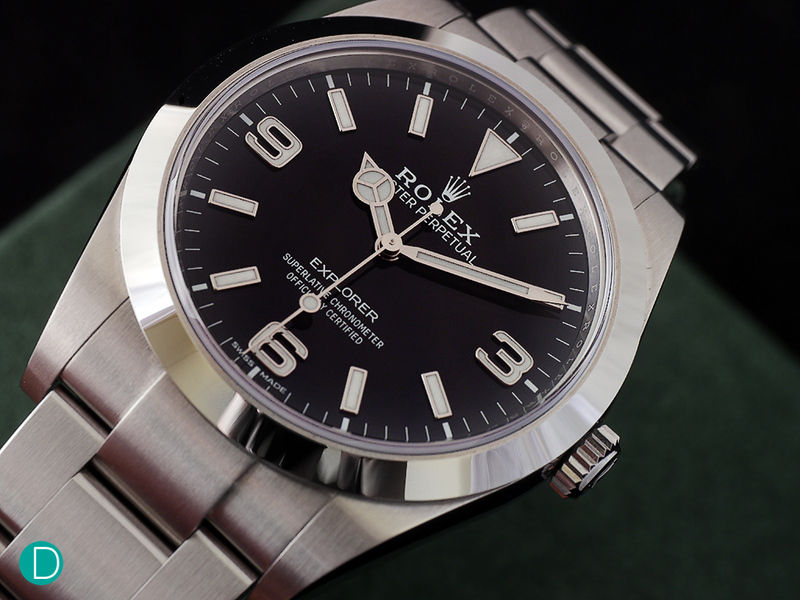 Our pick is the Rolex Explorer, which is a simple 39mm three-hand sports model from Rolex. The watch is fitted with Rolex’s in-house Calibre 3132, and it features all the typical Rolex specifications. In addition, it is a handsome watch as well. Priced at S$8,770, we think that the Rolex Explorer is a great alternative to the other sports watches. That is on the caveat that one is looking for a solid timepiece for Rolex without any specific models in mind. If not, admittedly, the Explorer might only be a temporary stop-gap measure in the midst of the pursuit for other sports watches from Rolex. The Tudor Black Bay GMT, on fabric strap. Since Rolex had discontinued the stainless steel variant of the “Pepsi” for almost a decade ago, collectors have been waiting for Rolex to launch the new version with the Cerachrom bezel. Their prayers were finally answered in Baselworld 2018, when Rolex had finally launched the GMT-Master II “Pepsi” in stainless steel. Unfortunately, the wait was far from over. Due to the popular demand for the model, many collectors are placed under the Authorised Dealer’s “waiting list”, which can stretch for a few years. There is an equally compelling alternative – in the form of Tudor, Rolex’s sister brand. 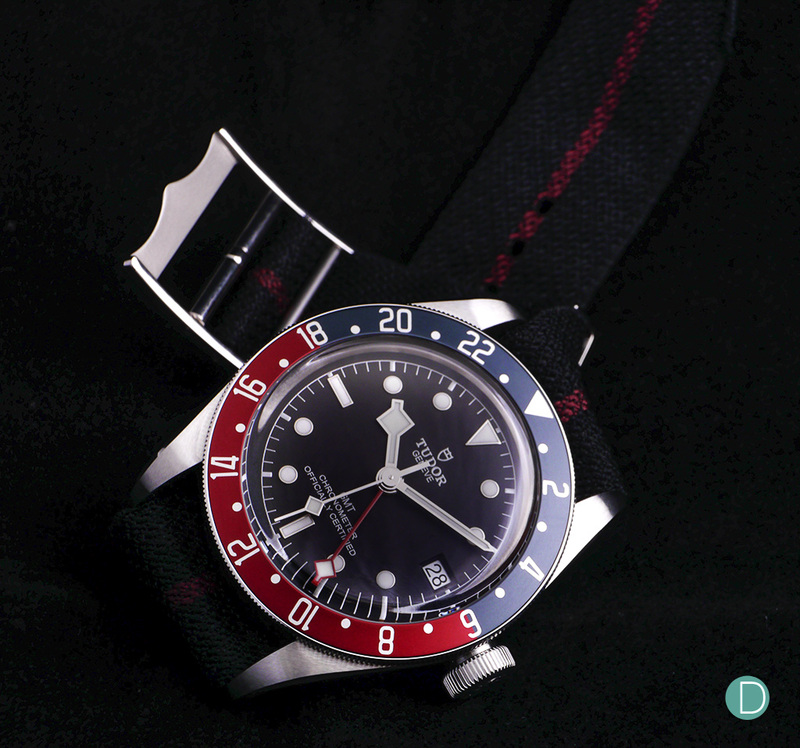 In Baselworld 2018, Tudor had launched its own version of the “Pepsi”. The watch is an extension of the Black Bay collection, but this time with a GMT complication and a “blue and red” bezel insert. The Tudor Black Bay GMT is an excellent piece. We like its vintage-inspired design, as well as its value proposition. The watch retails at US$3,900 (approximately S$5,351), and for that price the watch comes with an in-house movement that is fitted with a GMT complication. It is a timepiece that is worth some serious consideration, especially if one is a big fan of the vintage GMT-Master “Pepsi”. The fascination with bronze watches is something that caught the attention of watch manufacturers in recent times. Over the last few years, we have seen many brands launching their own version of watches with bronze cases. The Oris Big Crown Pointer Date Bronze is one of such pieces. What sets this bronze watch apart from the rest is its accessibility. Due to the fact that bronze watches are gaining popularity, many brands have decided to launch their offerings as “limited edition” pieces. This resulted in two things: (i) the limited supply of bronze watches, and (ii) higher price points for such watches. This further exacerbates the issue, especially with the more popular pieces (such as the Tudor Black Bay Bronze Bucherer Edition). The Oris offers collectors a reasonably priced bronze watch, at S$2,600. While it is fitted with a Sellita SW200-based movement, but the Oris makes up for it with its design. We think that the classic-inspired green dial complements rather nicely with the bronze case, and its modest 36mm case size adds a nice touch as well. 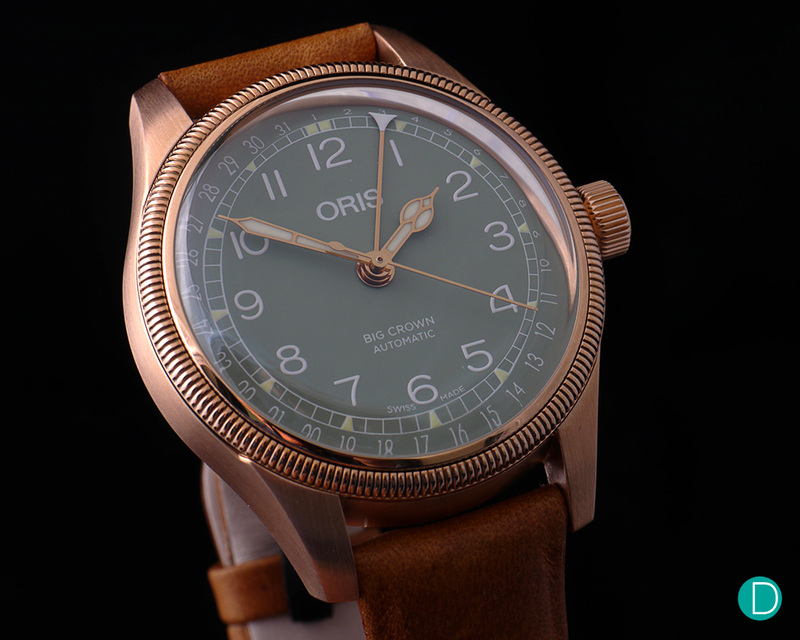 Overall, the Oris is a nice introduction for someone who wishes to own a bronze watch. It may not be as exclusive as some other pieces, but we think that its price point and design certainly makes it an appealing option for those who wants something novel. 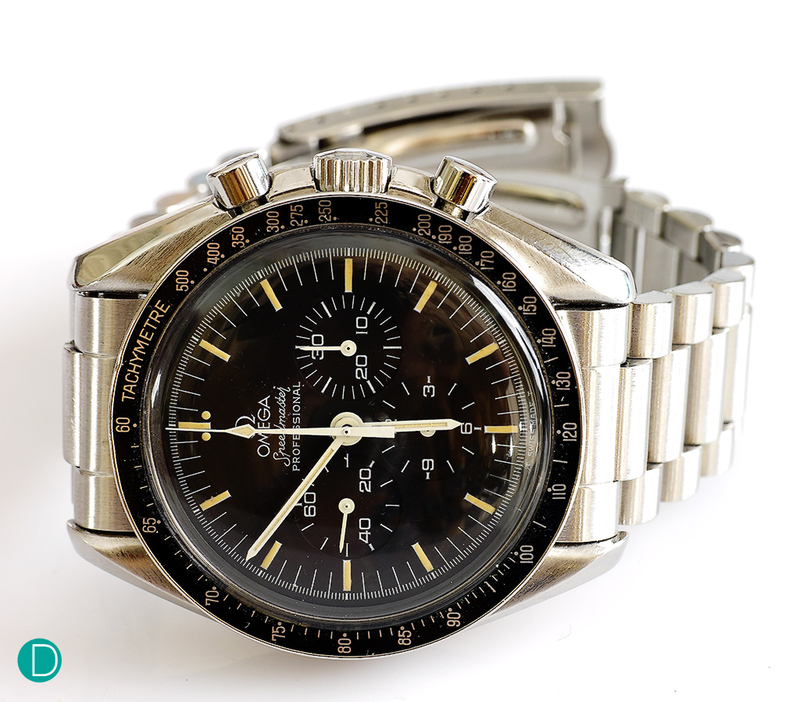 The Omega Speedmaster is one of the collection that is on the radar of many in recent time. It has always been a popular watch, but its reputation sky-rocketed in the last couple of years – all thanks to the highly sought-after limited edition pieces, such as the “Snoopy” and the “Ultraman”. While these pieces are certainly drool-worthy, what makes the Speedmaster an icon is its provenance. The Speedmaster Professional, also affectionately known as the “Moonwatch”, is the first watch that is worn on the moon. On top of that, the “Moonwatch” is also integral in many of NASA’s space missions. This makes the Speedmaster Professional a truly significant timepiece, and henceforth cementing its position in the horological world. For those who have yet to own a Speedmaster Professional, we highly recommend you to buy one before getting the “limited edition” models from Omega. The price point is relatively more accessible at S$6,850, but more importantly, this is the Speedmaster that is the closest to the original model (sans the vintage pieces with the Calibre 321 and 861 movement) that went onto the moon. That is THE reason why the “Moonwatch” is such a special piece. The Bvlgari Octo Finissimo Automatique is truly a work of art. Gerald Genta is known for designing some of the world’s most famous pieces, which includes the legendary Royal Oak and Nautilus from Audemars Piguet and Patek Philippe respectively. There is more than just the usual suspects. Throughout his career, Gerald Genta had contributions to other brands as well. The Bvlgari Octo, for instance, is one of his lesser known works. But do not let that fool you. In recent years, Bvlgari had invested quite a fair bit in the collection. 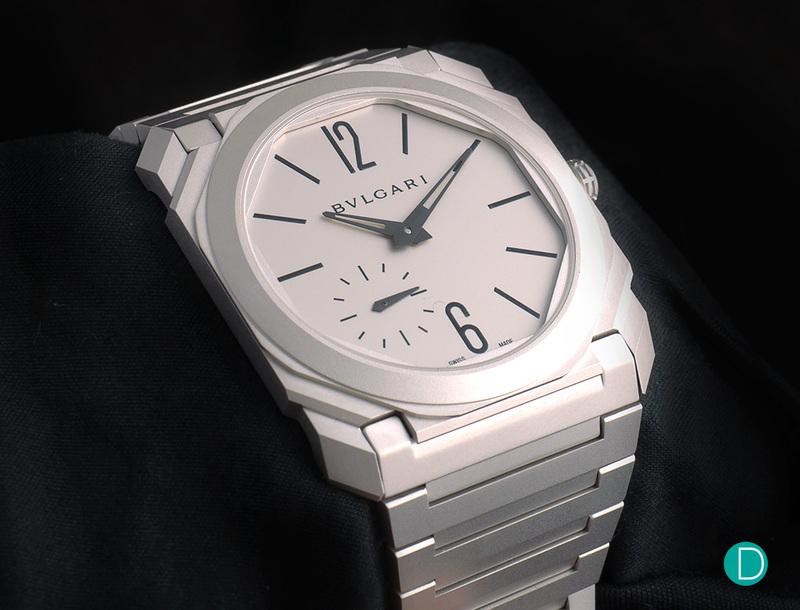 The Octo Finissimo is one of outcomes from the initiative, which sees Bvlgari creating some of the world’s thinnest timepieces with different complications. Our pick from the collection is the Finissimo Automatique. The simple three-hand watch might not be complicated, but that allows the design elements of the watch to shine. We particularly like how the design is based on different geometric shapes, as well as the play on angles and facets on the case itself. Coupled with its finishing, the end result of the 40mm watch is simply amazing. The Octo Finissimo Automatique is priced at S$18,350. It is truly a brilliant timepiece, and we think that it is certainly an option for a collector who is looking for something that is a tad uncommon from the usual crowd. 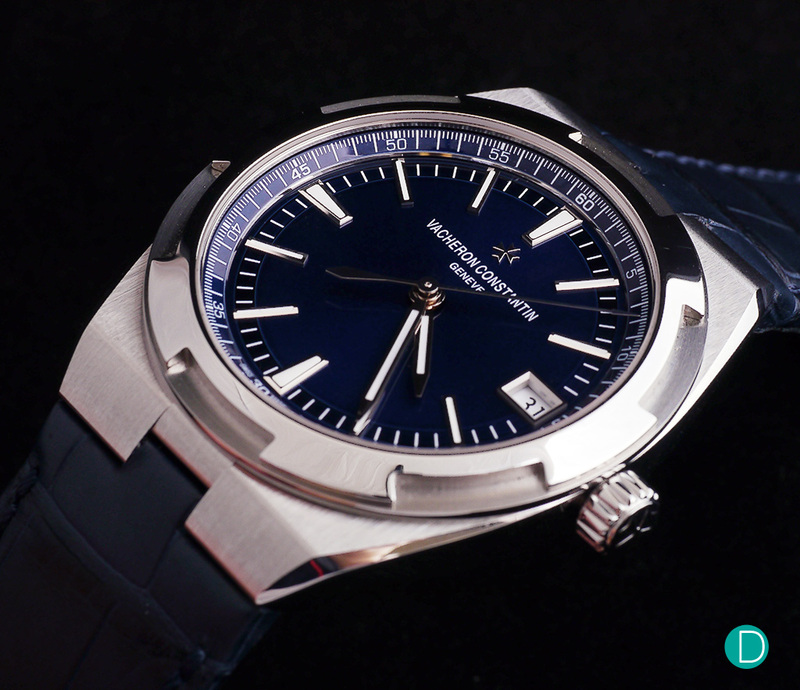 Finally, we wrap up the article with the Vacheron Constantin Overseas. The Overseas, unfortunately, have always been in the shadows of the other two luxury sports watches from the “Holy Trinity” – mainly Audemars Piguet’s Royal Oak and Patek Philippe’s Nautilus. We think that the Overseas deserves more. The new Overseas was launched in 2016, much to the delight of the watch collecting community. The updated timepiece is a leap from its predecessor, in terms of innovation, design, and value proposition. The latest variant features a beautifully finished in-house Calibre 5100, a cleaner dial design, as well as the new and nifty quick strap change mechanism. On top of that, the watch also comes with 3 different strap options (rubber strap, leather strap, and a stainless steel bracelet) in one package. Talk about versatility. Priced at S$30,800, we think that the Overseas is an excellent option in the luxury sports watch category. It is a fine timepiece, with unprecedented versatility and impeccable finishing. It is certainly underrated and overlooked by far too many within the community. In this week’s article, we have highlighted six excellent alternatives to some of the most popular watches in the industry right now. We understand that when it comes to these highly popular watches, there are a few reasons behind its excessive demand. First and foremost, these pieces are highly sought-after due to their value. This is fair and extremely relevant point. Most of these watches can be sold at a premium, and let’s face it – there are certainly people who are arbitraging from the mismatch of pricing. Next, it is the fact that many people like to own something that is exclusive and not readily available to the public. Finally, and the most compelling one, is that these pieces are watches that collectors truly want to have. We do hope that most of the people fall under the last category. In that case, if one falls under the last category, we think that looking for alternatives is something that is worth considering. It can work either as a stop-gap measure (while one waits happily for their Nautilus), or a permanent remedy. Some of the watches that we have highlighted today are truly worthy as a compelling option in terms of their finishing, design, and price points. Bvlgari’s Octo Finissimo Automatique and Vacheron Constantin’s Overseas are some of the examples that gives the other pieces in the “Holy Trinity” a run for their money. So, what are your thoughts on this? Are these watches worthy alternatives, or would you rather stick to those highly popular pieces? Also, what are some of the watches that we have missed out? Let us know in the comments section below.